I never dreamed that one day I would wake up sick and I’d never get better. My life wasn’t always this way. I used to be *relatively* healthy. But I’ve always had pain. As a kid, doctors always said that I just had growing pains. But as I got older, the pain got worse and worse. Every time I would go to the doctor and explain what was going on, they would do lab work and run tests. And every time, it would all come back within normal range. But when you’re a medical anomaly, normal isn’t necessarily your normal. At the age of 26, I finally had a doctor who listened. I had a doctor who sat down with me long enough to go over my ENTIRE medical history…something that no doctor had ever done before. She was the first and only doctor I’ve ever had who was willing to actually take the time to consider that what was going on with me could’ve been something more than the typical or common ailments. She was the one who diagnosed my Ehlers-Danlos Syndrome. It’s almost like, when they can’t figure out exactly what’s wrong, instead of admitting they may not know what the issue, most doctors will accuse you of faking it or being dramatic instead of investigating further. Now, I recognize that it is difficult to connect things like joint hypermobility, clumsiness, chronic nausea/stomach pain, and tinnitus. However, I do think that many doctors have become complacent. 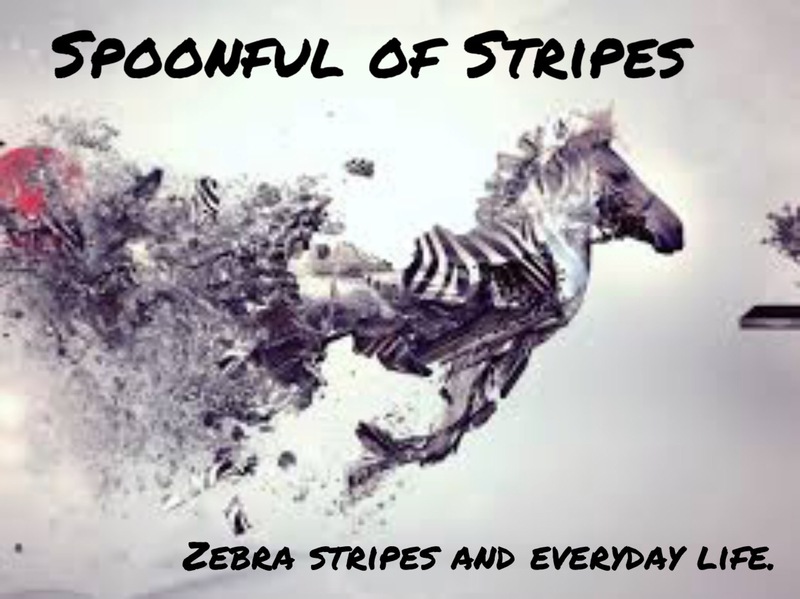 Doctors are taught in medical school, “when you hear hoofbeats, think horses not zebras.” But what happens when you’re a zebra, not a horse? Doctors are encouraged to NOT take the effort if they don’t easily know what the issue is. It’s like doctors don’t realize, understand, and/or care that their actions or inactions directly impact my quality of life. They don’t realize that their negligence to treat my symptoms may cause me to be unable to go to work, which results in lost wages, which results in financial stress, which causes anxiety, which causes a worsening of the original symptoms…it’s a cycle that is the direct result of a doctors decision. Sometimes, when the symptoms get too severe, I physically cannot play with my children…which is something I will never get back. My children will never be little again. I only get one shot at making childhood memories with them. The physical pain and other symptoms aside, this is most painful thing about being dismissed by doctors. My kids will never be little again and I will never get this time back. Going to the doctor, for any reason, when you have a chronic illness is weird. It’s like, imagine everything in your house is on fire…you’re standing there and the fire department pulls up. They ask you to describe the fire to them and MAYBE, if they can figure out what caused it, they can put it out. You start to explain that some areas are more enflamed than others, but that there’s fire everywhere. They stare at you dumbfounded, as if they don’t understand the words you are saying. So you try to elaborate. You explain the fire in the curtains is the biggest, but the fire in the photo albums might be doing the most damage. But also, the fire in the couch is incredibly inconvenient. The fireman takes a look around and notices that your TV is on fire and suggests the cause to be electronic-fireitus, but if that were the cause, there would also be some fire in the DVD player. You try to hide your irritation as you sigh and explain to him how the DVD player has actually been on fire for years. You didn’t mention it because it’s always been a relatively small fire, compared to the rest of the fire. You point out to him that the DVD player fire is right next to the bookshelf, which has much more fire. He glances over at the bookshelf and shrugs. He tells you not to worry about bookshelf fires, those just happen sometimes. He begins to notice your frustration rising and suggests that the fires would probably all go away if you stopped being so negative about them. He advises that if you’d lose weight, they’d probably just go away on their own. He tells you that you should try doing yoga to help your relax and stop being so dramatic about the fires. We spend our lives being told that doctors are here to help. They say they want to help make people’s lives better. But when it comes down to it, they don’t see their patients as anymore than a name on a piece of paper. They’ve taken away the humanity of it. There are treatments and medications that can improve my quality of life and alleviate some of my pain, but I am at the mercy of doctors to determine whether or not I am allowed access to them. We’re supposed to trust doctors to help. To listen to us and treat us. But what about when the majority of the medical community fails you? Then what do you do? What are my options when I run out of options? Now, I’m not saying that ALL doctors are like this. Some doctors still care. Some doctors recognize you as an actual person. Some doctors won’t give up until they’ve found the root cause of the issue. But I haven’t found that here. Before we moved to Georgia, we lived in Texas. The doctors I had in Texas were some of the best doctors I’ve ever had. But here in Georgia, it’s a whole different story and it’s a shame. It’s a shame the patients have to be dying (and sometimes not even then) to be taken seriously. My heart breaks for the number of people who live in agonizing pain because of doctors who won’t listen. I’ve heard doctors say, “don’t confuse your Google search with my medical degree.” To which my response is…don’t confuse your medical degree with the crap I’ve had to live with. To all the people out there being ignored by doctors…you are your best advocate. Keep pushing and don’t give up until you find someone who will listen.